Plants have been used for many years externally to help reduce the levels of traffic noise from reaching offices indoors. In the last few years, there has also been an increase in the number of office plants being used inside business premises as a means to reduce the levels of noise generated inside a building. Research now shows that plants can also help to reduce background noise levels inside buildings by up to 5 decibels. Office plants are incredibly beneficial for improved employee health, mood, and productivity, especially for those in open-concept offices. Open workspaces and offices are a fairly controversial set-up in today’s working world. The number one issue that has caused such a criticism of these workspaces is they are so loud. Noise, of course, is unavoidable in any office space; people on phone calls, collaborative team meetings, footsteps on hard floors, conversations in adjacent cubicles, printers, copiers and HVAC systems do not lead to a particularly quiet office. This noise is distracting, interruptive, makes employees less productive, reduces privacy, and can even taint the customer experience. One way to create a welcoming, stress-free environment is through reducing this unwanted noise in buildings. Indoor office plants can absorb background noise inside office buildings. Not only does this create a more comfortable workplace for employees but is also potentially more profitable for employers as employees that are less distracted should arguably be more productive. Sound Deflection – Sound waves hit the plants instead of directly hitting the walls, causing the waves to transform into a different type of energy that may be deflected into different directions. Sound Absorption – All of the parts of a plant – roots, leaves, stems, and trunks – all absorb sound. Obviously, the thicker the stems and leaves are, the better they absorb sound. 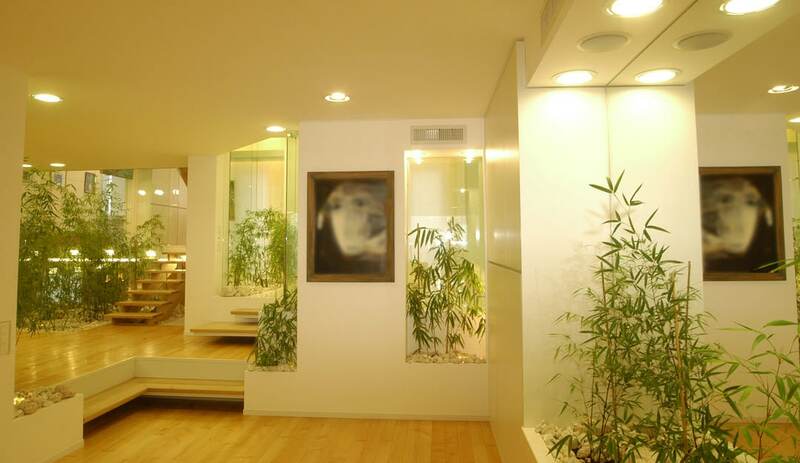 Plants are able to reduce noise by reducing the levels of reverberation and absorbing vibrations. Plants as sound absorbers have the highest affect in offices that have hard surfaces like marble walls, exposed concrete and stone and tiled floors. Sound Refraction – Refraction helps to reduce the amount of echo in sparse spaces. Plant refraction works similarly to how carpeting dampens sound in a home by preventing sound waves from bouncing all over the place. Numerous academic studies have proven the positive effects that office plants can have in indoor environments. These studies have shown that strategically positioned office plants or planted office displays can help you dim sound levels significantly. 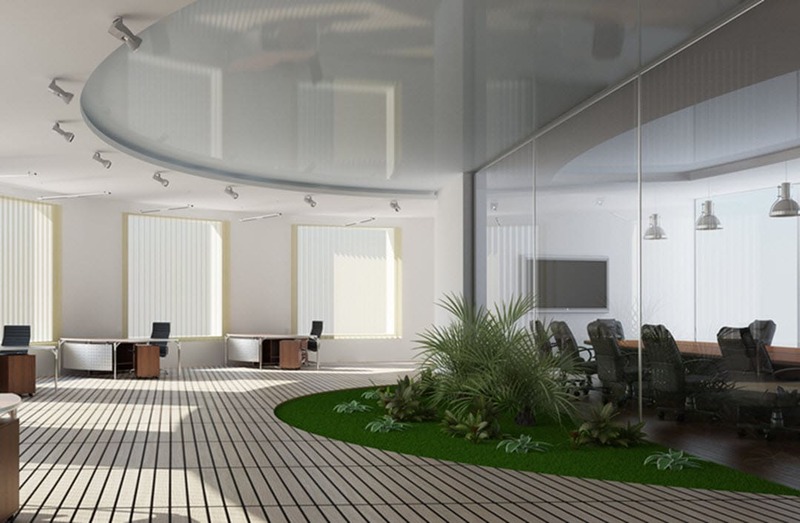 Interior plants can reduce noise in buildings, thereby making the environment more comfortable for the occupants. The effect can be maximized by choosing the best sound-dampening plant types, planting density, and location. The position of office plants is vital if you are trying to reduce office noise as plants placed near the corner of a room are far more likely to have an impact on noise levels than those in the center. This is because sound is often reflected from the walls and back into a room. If foliage is placed along the wall the sounds will hopefully bounce or diffract into the office plant and not into the room. Positioning several arrangements around a space works better than concentrating the plants in one location. In this way the surface area of the plants exposed to noise may be maximized and individual work areas in an office space will all benefit from a localized effect. Further, it is also a good idea to place a smaller plant on employee desks to help reduce the noise levels even further. Plants with lots of small leaves are useful as they scatter and diffuse sound. Office plants then, are not just for decoration but have real benefits for both employees and business profits and their potential should not be drowned out by all that chatter and traffic noise. Reduced noise levels are beneficial in retail spaces as well. In addition to the beauty that plants bring to a shopping environment, studies have shown that retail spaces featuring plant life have greater sales then retail spaces devoid of foliage. Shoppers are much happier about less noise during their shopping experience as well as the scenery. Several hospitals are starting to design their buildings with more plants included. One of the most popular reasons hospitals use plants is for their air purification capabilities, of course. Plants can remove all types of particulates from the air, from bacteria and mold to common toxins. But, noise is a common source of stress for both patients and hospital staff, which is why many hospitals have been working to improve their soundproofing by including plants. 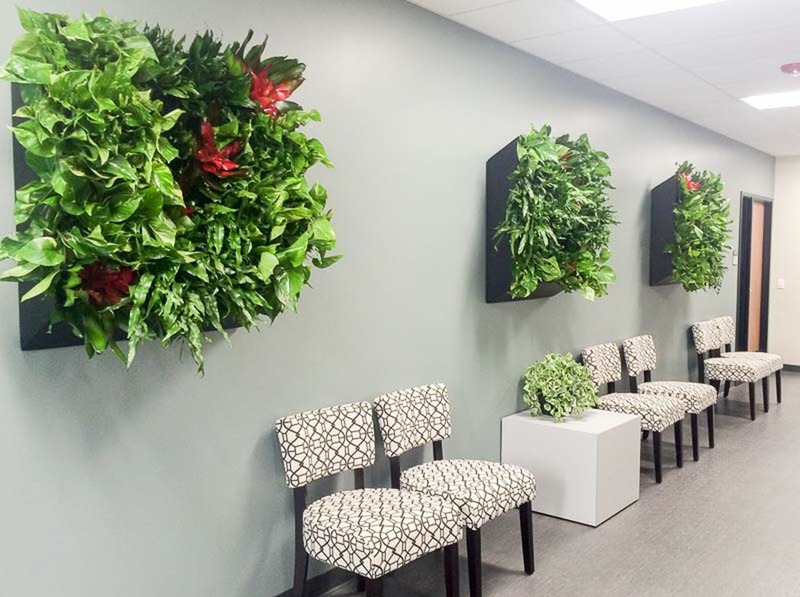 What are the Best Office Plants to use in Interior Landscaping to reduce noise levels? Some good examples of noise-reducing plants are Spathiphyllum wallisii (peace lily), Philodendron scandens (sweetheart plant), Dracaena marginata (Madagascar dragon tree) and Ficus benjamina (weeping fig). Once you have made the decision to install office plants it is important that you give the foliage a fair chance of thriving by ensuring that you position indoor office plants in the correct location. And you want to be sure to choose the right plants to complement your environment. Using a professional interior landscaper is one way to solve both of these problems at once. 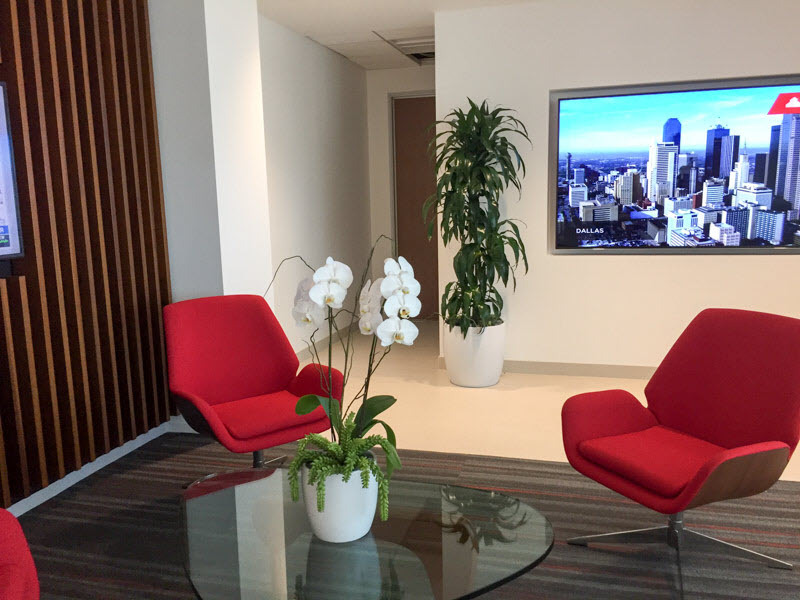 The planted office displays provided by office plant specialists will be carefully planned and thought out before being installed and potential issues such as location and sound frequency will be considered throughout the assessment. Inside Plants is an expert on enhancing indoor environments with plants for beauty, health, and noise reduction. We are the professionals that other indoor plant companies come to for training. Call us today for help with design, choosing the right plants, and maintenance. We are always happy to answer questions. (951) 371-4637 or (760) 322-9909.